The objective of the "Capital Investment Entrant Scheme" (CIES) since its launch in 2003 has been to facilitate the entry for residence by capital investment entrants who make capital investment in Hong Kong but would not be engaged in the running of any business here. 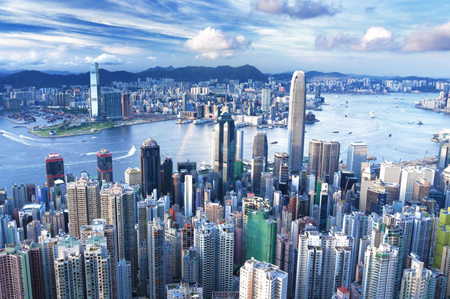 In order to be eligible to the Permanent Residency in Hong Kong, the scheme applicants are required to invest in Hong Kong for not less than HK $ 10 million* worth of permissible investment assets for 7 years. During the 7 year-period, the applicants also need to make regular reporting to the Immigration Department and to apply for visa extension every two years. Although the CIES no longer accepts new applications since January 2015, many cases are still pending approval. There are yet more entrants who have begun investing but have not completed the 7-year required period. However, the investment environment has changed very rapidly in recent years, and the Hong Kong stock market has become even more volatile. Under such circumstances, even experienced investors found it increasingly difficult to make a profit, not to mention the immigrants who are unfamiliar with the Hong Kong investment market. Participants of the CIES are mostly entrepreneurs who have relatively less investment experience. They are usually either too conservative or too aggressive in the selection of investment products. Being too conservative will lead to investment returns that are incapable of catching up with the Hong Kong inflation rate, while being too aggressive means that unnecessary risks may have been taken and substantial losses may be incurred. Channel 8 Wealth Management Limited provides professional investment advisory service to CIES participants. Through asset allocation strategies and effective risk management, we assist CIES entrants to manage their investment portfolios in order to earn satisfactory returns. Our Group affiliate, Channel 8 Immigration Consultant Limited, will also provide services such as regular reporting and visa extension so as to allow clients to enjoy a peace of mind to integrate into the quality life of Hong Kong. *The investment threshold has been raised from HK$6.5 million to HK$10 million with effect from 14 October 2010.